R!SK will open at North Lanarkshire Heritage Centre on 23 March – 11 May and explores the dangers we face in everyday life and how people have protected themselves in the past – did they really take such risks!? The exhibition lets families explore the rooms of a crazy house where danger lurks around every corner. Have fun in this interactive exhibition to see how many hazards you can spot. 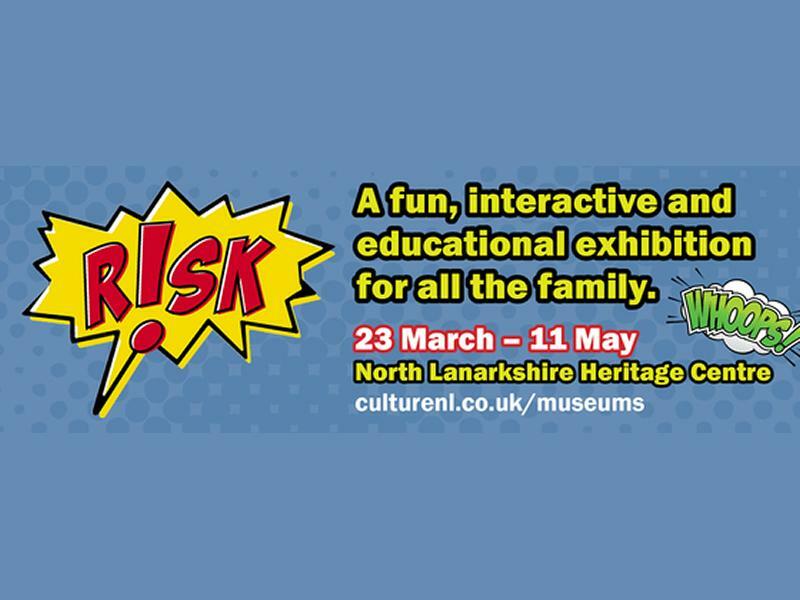 Fun family activities will also take place at North Lanarkshire Heritage Centre every Saturday throughout the exhibition and over the school Easter holidays. The exhibition is FREE, and will be open daily from Saturday 23 March to Saturday 11 May, 9.30am – 4.30pm (closed Sundays). While we take every opportunity to ensure the details for R!SK are accurate, we always advise that you contact the event organiser before setting out for the event to avoid disapointment.